You're engaged! YAY! Is your head spinning yet from all the info being thrown at you like softballs? Never fear friend! Im here today with tips from the top Cincy wedding pros to help you out with your wedding planning! 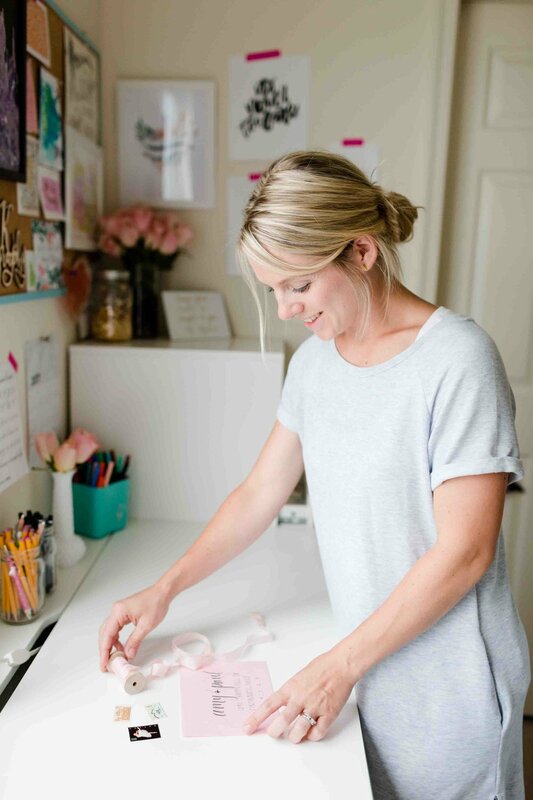 Hear from the best in town on Photography, Planning, Florals, & Stationery! You don't want to exit out of this too early either because theres a perfect tool at the end to help you with your wedding timeline! Since today is #nationalweddingplanningday I thought we'd hit it off with tips from Crystal of The Crystal Collection . Being a wedding planner is her dream job. Other than being dedicated to designing love stories for the modern bride, she loves to travel, shop at Anthropologie, & of course adores her pups! 1) Look into what services the planner offers; full service, planning, design, month-of service, AND what are their payment options? 2) Do you see them being a friend outside of being your planner? There has to be a sense of trust. Planners will handle anything from budgets to upset parents. Feeling that they have your best interest in mind is SO vital! 3) Does she have your style? Instagram is the perfect spot to discover more of the style the planner has. It's the most up-to-date portfolio for any wedding vendor! Kaytee is the owner of Roots Floral Design and specializes in wedding flowers. Her designs are organic and adventurous with a touch of romantic whimsy. 1) Before you reach out to your florist, make sure you know what your colors are. Having a solid idea on your bridesmaid dresses, groomsmen suits, and table linens will affect what your florist will use for flower colors. 2) If you are on a tight budget, get rid of your personal flowers (bridesmaid bouquets, boutonnieres, corsages, etc.). This may sound unconventional at first, but when you think about it, these flowers are only used for about 20 minutes of your entire wedding day. Use your flower budget towards your ceremony and reception designs where the most important part of the day will take place and where most of your guests will be present. 3) Allow your florist to have creativity! Your day should be unique and special to you as a couple. Give your florist the opportunity to share some ideas that will allow the designs to really represent your as a couple and the theme and feel you are trying to achieve. Amanda Donaho of Amanda Donaho Photography is an internationally published wedding & travel photographer based in Cincinnati, Ohio. After photographing nearly 400 father/daughter dances, she's almost guaranteed to cry every dang. time. When choosing your wedding photographer, it's so important to really comb through their portfolio to look for a few things. First, does the style of photography displayed jump out to you & grab your heart? Can you picture yourself in that photo? Is their editing style consistent or all over the place? Do you feel confident that you know what you'd receive at the end of your journey with this photographer? Additionally, pay attention to the lighting situations presented in their portfolio. Most photographers (myself included) have a preferred lighting style (give me all the outdoor weddings, please!) and therefore may show more images consistent with that look. However, don't be afraid to ask to view work that showcases their experience in lighting dark rooms & more difficult settings. Any great photographer should be more than happy to provide you with a full wedding or two to browse through! Finally, check their social media accounts & blog to get an idea of what their personality is like & if you feel you would jive well together. Your relationship with your wedding photographer needs to be a strong one, as you'll shoulder to shoulder with them through the planning process & especially on your big day! 2. ASK YOUR FRIENDS & READ REVIEWS. Chances are, you know of a few people who have gotten married recently. Ask what they loved (or didn't love) about their wedding photography experience - often times you may get a great referral from them on who to hire! Additionally, check out reviews online for the wedding photographer that you may be considering. You can learn so much about that photographer's personality & what you can expect in your experience with them via reviews! Hey! I'm Jen & the owner of Jen K. Calligraphy. I offer calligraphy services and make custom wedding stationery design effortless for brides. 1) Research. Look into the cost of custom stationery before sending an inquiry email. Stationery can be so customized but its good to have an idea of the average cost & factoring that into your budget before diving right in. 2) Consider postage costs. Ask your stationer when giving you a customized quote if they could factor in the postage for all the invites you plan to mail out. Because thats not necessarily the most fun part of invite design, it can be easily overlooked by brides. 3) Plan ahead. If you think you're waning to work with a stationer designer for all you wedding paper goods, reach out to them ASAP! Ideal time to contact them (and book) is 6 months out from wedding date. Feel better? I sure hope so! If you have any questions PLEASE reach out to your wedding vendors! We are here to help make this season of life fun and simplify it a bit for you! Heres a fun take away for you... a chart that makes it crystal clear on when to start booking things for you big day! Enjoy and plan away girl!